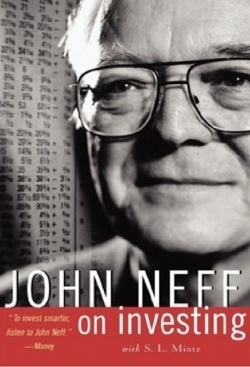 While known as the manager with whom many top managers entrusted their own money, Neff was far from the smooth-talking, high-profile Wall Streeter you might expect. He was mild-mannered and low-key, and the same might be said of the Windsor Fund that he managed for more than three decades. In fact, Neff himself described the fund as "relatively prosaic, dull, [and] conservative." There was nothing dull about his results, however. From 1964 to 1995, Neff guided Windsor to a 13.7 percent average annual return, easily outpacing the S&P 500's 10.6 percent return during that time. That 3.1 percentage point difference is huge over time -- a $10,000 investment in Windsor (with dividends reinvested) at the start of Neff's tenure would have ended up as more than $564,000 by the time he retired, more than twice what the same investment in the S&P would have yielded (about $233,000). Considering the length of his tenure, that track record may be the best ever for a manager of such a large fund. Since 2010, this portfolio has returned 82.7%, outperforming the market by 42.9%. Validea used the investment strategy outlined in the book John Neff on Investing written by John Neff to create our Low PE Investor portfolio. Neff's approach was "relatively prosaic" and "dull" because it focused on the market's unloved. Neff identified these stocks using the price/earnings ratio, seeking stocks with P/Es that were between 40 to 60 percent of the market average. From this group, he looked for firms with steady, sustainable EPS growth (between 7 percent and 20 percent per year, and driven by sales growth), as well as positive free cash flows. He also used what he called the "total return/PE" ratio, which combined a stock's growth rate and dividend yield and divided that by its P/E ratio to find good values. The variable underscored Neff's belief that strong dividends were an often-overlooked part of how investors could beat the market.